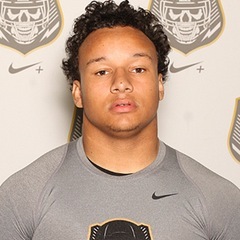 Kendrick Green (Peoria High School): Three-sport athlete who wrestles, plays baseball and was offered two dozen college scholarships as a football lineman. A two-way starter on the Lions state football champ, he helped the record-setting offense average 57.5 points per game. As a defensive lineman, the All-State player recorded 113 tackles, 33 for loss, 15 sacks and scored a TD. 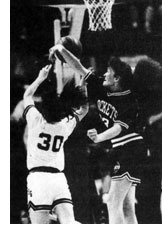 Tammy Van Oppen earned the coveted title of Illinois Ms. Basketball following the 1991-92 season with averages of 20.1 points, 9.8 rebounds, 3.9 steals and 3 blocks per game for the 32-1 Limestone Community High School state girls high school tournament runners-up. The Rockets advanced to the Elite 8 in three of her last four years as a varsity starter. Van Oppen was named to four all-state teams after her senior season in basketball, as well as to all-Metro teams by the Journal Star in basketball, volleyball, and softball. The daughter of Jerry and Cheryl Van Oppen, Tammy set a state finals record for most three-point baskets in a single game (seven vs. Lyons Township) and was a 40 percent shooter from there, with 53.4 high school career shooting accuracy from all distances. She ranks No. 2 in school scoring history with 1,814 points and set single-season records for most rebounds (323) and blocked shots (102). Now a freshman at the University of South Florida, Van Oppen poured through 27 points to lead an early-season Bullsí victory.